Q. I saw your earlier article about how to install PHP 5 under Red Hat Enterprise Linux version 4. But Iâ€™m using Red Hat enterprise Linux 5 and I donâ€™t want to mess up with old version instructions. Is there a way that I can install PHP5 under RHEL 5 without using source rpm? 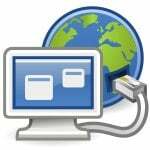 Now Select PHP (under Web Servers) and install the same. Would method #2 a bit overkill? I’m tearing my hair out trying to get PHP 5.2.6 installed on our RHEL 5 box here. Upgrading to RHEL 5 is an option down the road, but not tonight, which is when we need to get this instance of our webapp that depends on a new build of PHP running. You can get Php 5.2. * from Redhat. If you PAY for their Advanced Application stack. 1 Year basic support = $1,999 or if you want Premium Support for 1 year = $8,499. Redhat are becoming worse than Microsoft. At least MS don’t give you outdated software versions if you pay them less money. haha…Redhat is a joke…RPM actually give you a binary package, which is not tuned for your machine, and you have no option to compile your own, e.g. in apache, you might want to choose MPM=event or worker. or you wanna compile all modules as static modules. Of course you can install from source, but it will cause you difficult to manage all your packages, especially RedHat always give you outdated packages. 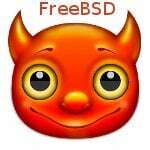 I’ve switched to FreeBSD from RedHat already. I am happy I don’t need to pay Redhat for this kind of service. Does PHP 5 work on Red Hat Enterprise Linux version 6? i want php 5.2 + for redhat5 32 bit rpm packge …………. is it available ? pls give the detils……….